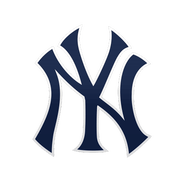 Sabathia (1-0) picked up the win Friday by allowing an unearned run on three hits and four walks while striking out five over five innings against the Royals. The Royals scratched across a run in the third inning on a pair of errors, but Sabathia managed to toss two scoreless frames to finish off his outing. The 38-year-old lefty has yet to surrender an earned run through two starts in 2019 and has fanned eight batters over 10 innings. Sabathia returned from the injured list to throw five scoreless innings in a no-decision against the White Sox on Saturday, allowing just one hit and no walks while striking out three. Sabathia's only blemish was a third-inning single by Jose Rondon as he sailed through five innings on just 62 pitches. The 38-year-old was pulled after the fifth since it was his first appearance of the season. Sabathia will look to build upon this outstanding effort in his next outing, now scheduled for Friday at home versus the Royals. Sabathia (chest/knee) was officially activated from the injured list ahead of his scheduled start Saturday against the White Sox. After a run of players heading to the injured list, the Yankees finally get one going in the other direction. The veteran's debut had been delayed by a suspension as well as recovery from a pair of offseason surgeries, but he looked good in a rehab start for High-A Tampa, allowing one run in 4.2 innings while striking out six. Sabathia (chest/knee) will start Saturday against the White Sox, James Wagner of The New York Times reports. Sabathia was originally slated to start Sunday's series finale, but his 2019 big-league debut will come a day earlier than expected. Jonathan Loaisiga was sent to the minors earlier in the week to clear a spot in the starting rotation for Sabathia. 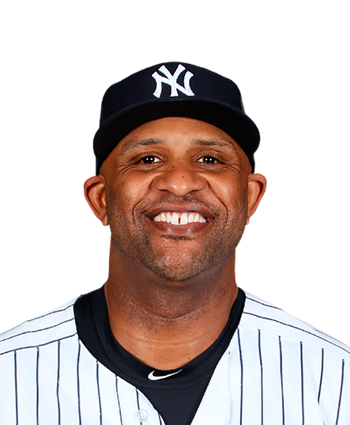 Sabathia (knee/chest) is expected back Sunday against the White Sox, Jon Heyman of MLB Network reports. Sabathia's start to the season has been delayed by a brief suspension as well as recovery from a pair of offseason surgeries. He has been making rehab starts for High-A Tampa and looks to be ready to go. Jonathan Loaisiga was already optioned after his start Tuesday, clearing a spot in the rotation for the veteran.